Every day is a good time to talk about fitness goals! 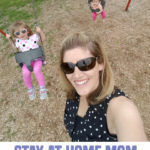 While I’ve done lots of physically fit sports and activities as a kid and into my early adulthood, after motherhood was a different story. 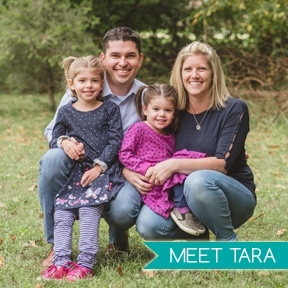 My body, eating habits and mindset changed after kids and it took a lot to get motivated to get back in shape. However, last summer I got my act together and by fall I completed a 10 MILE race with 3.5 months of training. To clarify, before kids I completed the 5.4 mile leg of a marathon relay and solo 10k race, with both distances challenging me at the time. But I am NOT a long distance runner. 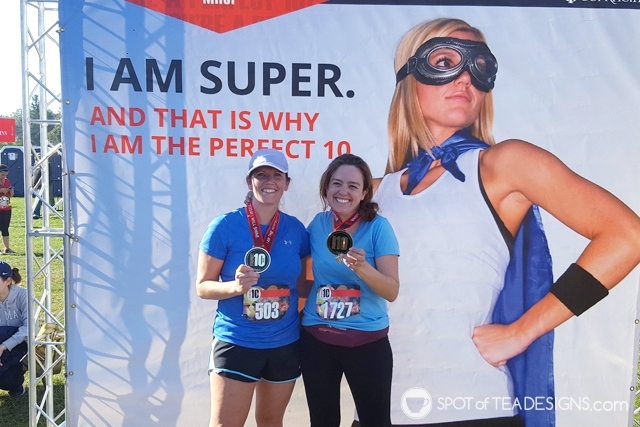 Once I turned 35, I created a 40 before Forty list which included the task to “complete a physical challenge.” Last July I signed myself, and somehow convinced a friend, to sign up for a 10 mile race just 3.5 months away. Race day I was nervous but felt confident I could handle it based on my training and even the 7 mile practice run we did the week before. I completed all 10 miles with only walk breaks to grab a drink of water. Our goal was to complete it in 2 hours and I’m happy to report that we came in at 1:56, just under our goal! 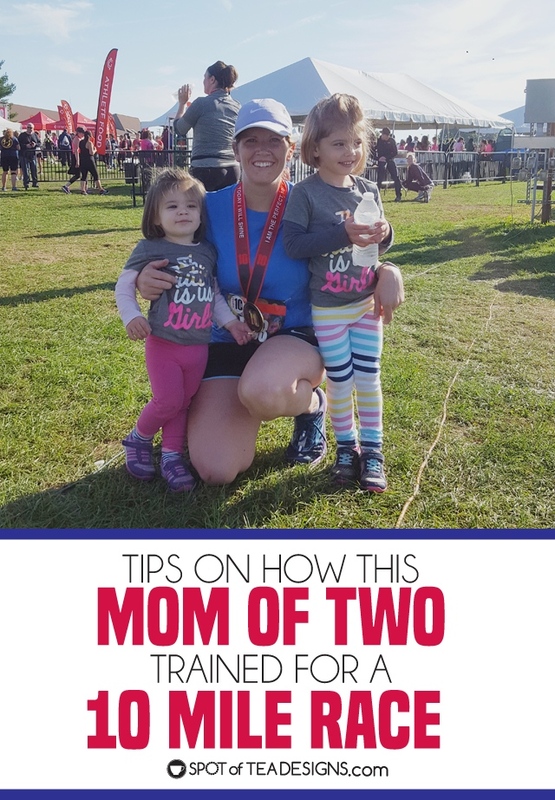 Here’s what helped this mom of 2 train for this 10 mile race. Carry a water bottle EVERYWHERE! 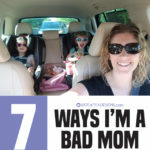 I had a bad habit of thinking about food and water for my kids but would always forget it for myself. I purchased this Contingo water bottle which had a flip top lid (that also locked) and had a handle with a clip so I can clip it right onto my diaper bag when we’re out and about. It really helped me keep my water intake up, something we should do regardless of running schedules! Join with a friend. 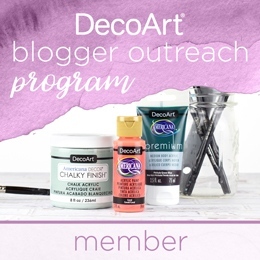 Doing anything in a group is always more encouraging than alone and I’m happy that when reaching out to the group of women I knew one stepped up to join the race with me. April, who is around my age and also a mom of 2, lived nearby which helped for local meetups to run together. When training separately, we’d send each other a screenshot of our runs when hitting the gym or out for an outside run to help keep us accountable. Safety first. When I was younger I had been known to faint in extreme heat so safety was always a concern for me. 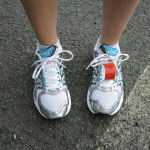 I saw these Road ID shoe bracelets in a previous race pamphlet and once joining the race, I ordered one right away. You can add lots of information on them but I chose to include my name, city, husbands name and cell phone number for contact. Hopefully it’s never read by emergency staff but at least I have it! Wear a Fitbit. I had gotten a Fitbit Flex 2 for Christmas months before signing up for the race and over the months I slowly upped my minimum daily goal. The days that I’m working on my computer in social media may not have yet the highest counts but you bet the days I was running around with the girls were sky high! Having something to hold me accountable and help me track my movements was helpful and encouraging to see. Run first thing in the morning. My girls go to daycare 2-3 days a week so those days were definitely started with a run around the neighborhood or some time at the gym. On the weekends my husband was home to watch them while I ran solo or with April. If I didn’t do it in the morning, I wasn’t going to go. Too much happens in a day and we get tired or full from food or just feel worn day. Track your runs. I signed up for the Nike+ Run Club app which helped me see the length I was running as well as my pace. You can set it to speak to you and tell you these mile markers. Pump up the jams! I shuffle around different stations on Pandora to keep my pace up and entertainment while on the treadmill or out for a run on the streets. 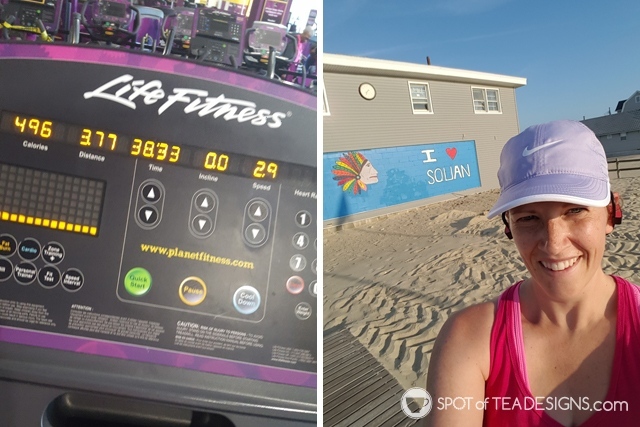 Pop Fitness is my current favorite with an upbeat mix of songs that help keep the pace. I also invested in a set of wireless headphones to relieve the distraction of a wire while running, but do I, by no means things this is a requirement, just a convenience. Be aware of your food intake. I think most women will tell you that mom life is really hard on body both during pregnancy and afterwards. I lost the weight with Brielle but still clung onto 15 pounds from Hailey 2 years later. Even if I got exercise in, eating habits were a bit of an issue. Once training, I ate more oatmeal for breakfast, chicken salads for lunch and tried to make smaller portions for dinner. Get the right gear. Running doesn’t take much as far as equipment. But I’ll tell you, investing in proper running shoes and dry fit style clothes really made the difference in my comfort on my runs. I visited a local running store and was fitted with shoes that made my runs much more enjoyable in comfortable footwear. 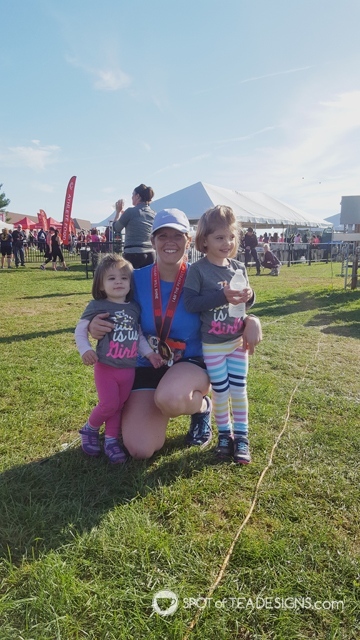 Not only am I proud to say I completed a 10 mile race AND completed something off my 40 Before Forty list, but I’m happy my husband and two girls were there to cheer me on! I love that the girls could see the awe of women of all ages, shapes, colors, and sizes running together and doing something for themselves! YOU CAN DO IT! Now’s the season to sign up for those fall races so go ahead and sign up! 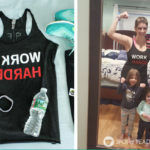 If this mom of 2 can run a 10 mile race, so can you!